Fascia is a tensional force transmission system and can be found throughout the body as it envelops muscles and bones, nerves, blood vessels, organs, joint capsules and ligaments and is also interwoven in all these structures similar to a sponge or three-dimensional web. Have you heard of hernias, plantar fasciitis, rotator cuff and biceps tendinopathies or tears, carpal tunnel, tennis elbow, disc herniation? All these “injuries” are a clinical break down of our fascial network, frequently due to repetitive stresses, overtraining or not enough movement! Fascia is unique as it has the ability to adapt and adjust to strain and stretch through the process of “stimulus-response”. Collagen fibres respond to loading. Lack of movement creates tissue layers to be less slippery (cross link formation) and store less energy for elastic recoil, therefore utilising less stored muscle energy = “feeling heavy and stiff”. Healthy fascia receives daily large variety of movement so it can stay hydrated, elastic and resilient. We experience tissue break down with ongoing static or repetitive load: unfortunately sitting in cars or on desks is the new smoking. We can cure this, however, by “play” and many non-repetitive sports. Two thirds of the fascia are made up of water: imagine a sponge-like connective tissue. Mechanical load (stretching or compression or movement) assists to squeeze water out and consequently encourage filling with new fluid. It is not enough to stay hydrated by drinking plenty of water, we need to move if we want this water to hydrate our connective tissue. How do we train the Fascia? In many sports including Pilates we train the fascia along with the muscles, however the fascia grows more slowly which in turn means it becomes stressed faster. Correct stimuli and appropriate recovery are the key. To stimulate elastic recoil, we need to attempt to jump or bounce but land softly, swing arms but not control the end of the swing. Allow fascia to recoil and elasticity will improve over given time. To assist hydration of the superficial fascia, we use firm foam rollers of all sizes and shapes to roll out the body suit. We also look for multi angular stretches and apply mini bounces at the end of these stretches. The balance between sympathetic (fright or flight) to parasympathetic nervous tension can be shifted using proper breathing techniques while stretching and releasing. Finally, we practice listening to our moving body more closely (sensory feedback) and experience the fascia as a 6th sensory organ, communicating to us about where we are in space, thereby not just improving balance, but also reducing chronic pain. At PPP, you will find certified Fascial Fitness and Black Roll trainers. 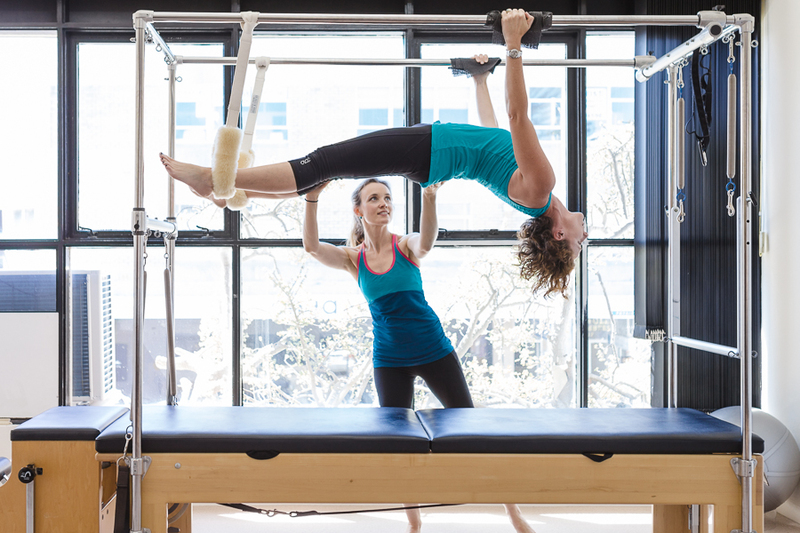 Fascia training complements the Pilates training method perfectly, as it shapes the connective tissue network and assists muscle control. It suits people with very tight fascia (“I could never touch my toes”) or double jointed people who need elastic recoil rather than long soft muscles (training method varies slightly). Twice weekly fascia training will allow improved fascia turnover of 50% in 6 month. Fun and easy to perform at home. 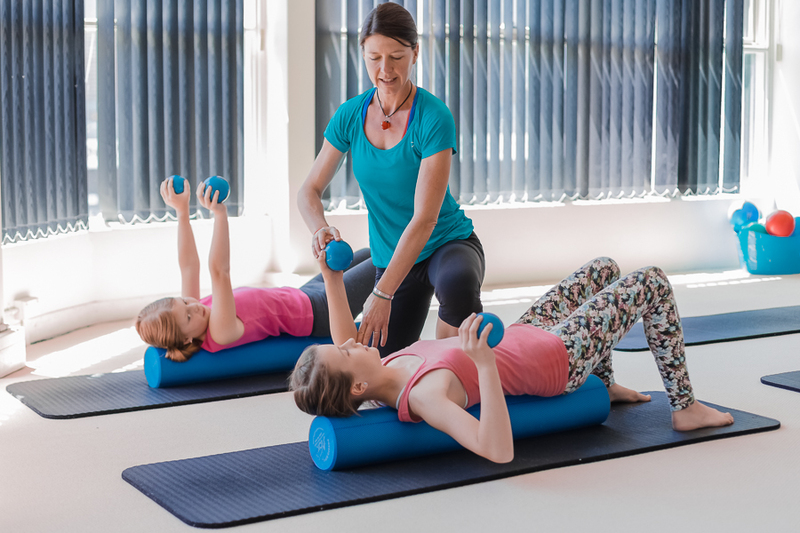 Click here for our current timetable and call us on 8544 1224 today to reserve your spot. Rebates may apply under your Private Health Insurance Extras cover.